Online ordering menu for City Fresh Pasta (Squirrel Hill). 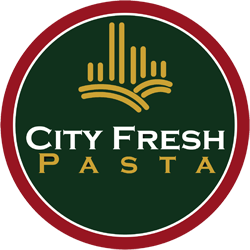 City Fresh Pasta is committed to providing you with the freshest pastas, ravioli, pierogies, gnocchi, artisanal sauces and butters possible. Try some of the dishes on our menu such as the Primo Pasta, Chicken Parm, or the AMP Gnocchi. Find us north of I-376 at the corner of Murray Avenue and Hobart Street. We're not far from Frick Park! Order online for carryout or delivery!